We offer a wide range of lightformers – in cooperation with Visual Pursuit Düsseldorf, we have put together this comparison of light formers to give you an overview and to help you make your selection. Here you can find most of our light formers, sorted by their light effect. 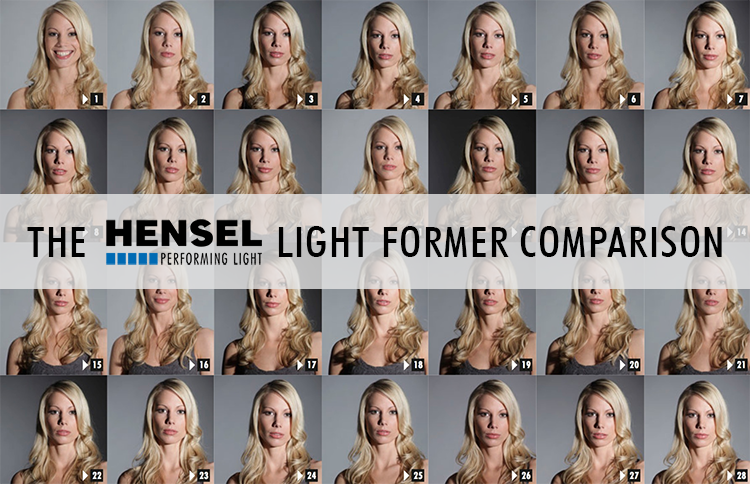 Now with all the softboxes from the new Hensel line and the parabolic Master PXL umbrellas. You can also compare the light formers while browsing our product area. To do so, put at least two different light formers on your checklist (by clicking ‘Add to compare’ on the respective product info page). Then click the button ‘Compare’ at ‘Compare Products’. A new window opens – scroll down to ‘Light Former Comparison’. By clicking the thumbnails you can now compare the images in full view.